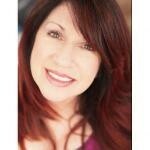 EzineArticles Expert Author and Natural Facial Fitness Expert Cynthia Rowland is today’s Author Spotlight. Cynthia Rowland, creator of Facial Magic, is an acclaimed expert in natural facial fitness. She’s an author, speaker and television personality and has appeared on QVC, HSN, The View and many other shows. She’s been teaching at The Learning Annex in Los Angeles, New York, San Francisco, San Diego and Toronto for over five years. An EzineArticles Platinum Author since October 2005, Cynthia has 60 article agents selling for her, resulting in 66,250+ views. Cynthia takes a conversational, common sense approach to the importance of natural versus surgery or injection anti-aging methods. Cynthia’s positive presentation leaves her readers with a sense of empowerment that comes from knowing they can beat the aging process on their own, without injections or surgeries. In her article, How To De-stress Your Face Using Simple Facial Exercises, Cynthia expertly uses her unique perspective to engage her readers and leaves them wanting more. Cynthia furthers her credibility as an Expert Author by displaying her Platinum EzineArticles Expert badge on her website linking to her EzineArticles Expert Bio and Author Pic. Thank You Cynthia Rowland for submitting your expert articles and keep up the good work! Cynthia Rowland has written some great articles. I just read “Fuller Lips – How Lip Enhancement Works”, because I have been wondering about that, each time I buy a new over the counter product, to make my lips full again…lol. I love it! Thanks Cynthia for an honest answer, that adds some humor, while saving me those dollars. It’s one of my core tenets in my Article Writing & Marketing training products (both free & paid). The idea is this: Every article you have is a sales agent for you and/or your business. To increase traffic, sales, leads, etc… you need more sales agents selling for you 24×7. Writing more articles = means you have more ‘article agents’ selling for you. Members who have less than 10 article agents are at a serious disadvantage vs. those who have deployed more article ‘agents’ to help them build their business. Thanks Chris! I guess I’d better get busy! Interesting take on the Article Agents. Never thought of an article being your agent but it does make sense and they are out there 24/7 on the net around the world. Marion, you have made Chris’s day. He was waiting for somebody to ask that question.